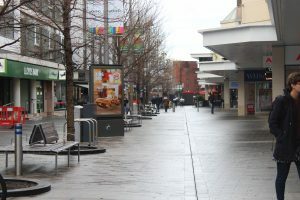 » Other News » Are pedestrianised areas damaging high streets? Are pedestrianised areas damaging high streets? WHAT was most obvious to me watching TV reports of the fall of the House of Fraser was that most of their soon-to-be-closed stores are situated in pedestrianised streets with no parking. I haven’t shopped in my local department store in over 25 years due to the impossibility of getting my car within several hundred yards of the front door – preferring to frequent out of town malls with a superfluity of free and convenient parking. It must be nice for the Green anti-car lobby to smugly walk and cycle past the shuttered shops of our High Streets, the death of which are largely due to their blinkered efforts.